In March of this year an unlikely marriage took place between Georgia’s conservative, jackets-at-dinner resort of Sea Island and a manic pair of former ATP Touring professionals, Luke and Murphy Jensen. Gifted players—they won the French Open Doubles title in 1993—they nonetheless became even more famous for their high-spirited on-court antics—fist pumps, high fives, conversations with fans, ball boys, even opponents, and the occasional arrival on court by motorcycle—all to make the game as fun and their matches as entertaining as possible. Those shenanigans may have cost them titles but won them whole stadiums of devoted fans. So now they’ve been hired to work their special brand of tennis magic on the courts at Sea Island, as Murphy assumes the Director of Tennis position and Luke (who famously serves both right-handed and left-handed) signs on as Touring Pro. The clash of styles aside, what makes this newsworthy is the commitment the Jensens have made: unlike many big-name pros who happily sign a contract to represent the resort as long as they don’t have to actually appear on property more than a couple of times a year, Murphy is taking up residence there and Luke has committed to a minimum of 120 days a year. 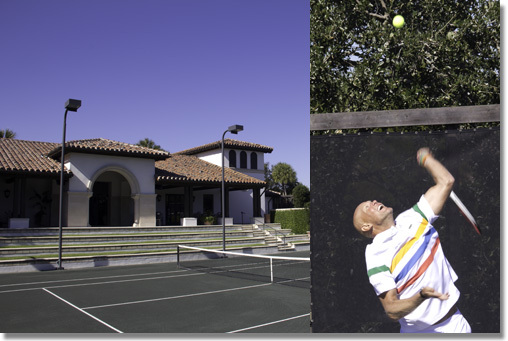 Together they are carpentering together a broad-ranging plan to take Sea Island out of the tennis backwaters, where it has spent much of the last decade, and, they hope, make it the tennis destination against which all others are measured. To find out first-hand what this is going to mean for Sea Island’s tennis playing guests, I’m headed there this weekend to meet with Murphy and take part in a mini-version of a Jensen Brothers weekend. I’ll be reporting about it here. Im recovering from an amazing weekend with Roger! I never knew that he could play tennis at the highest level! He dazzled the Jensen Brother Day with a return of serve coming at him at 150MPH!!!! Roger might be the answer to the american tennis future! Come back and visit soon….your the best!